It’s hard to believe that March 11, 2016 was the 5th anniversary of the Tohoku earthquake that hit Japan in 2011. I clearly remember that tragic day. I had to go to the animal hospital that day and had my newborn daughter with me in her pram when I saw the news on the television in the waiting room. That was 5 years ago. My own previous personal experience with an earthquake was in 1995, at the time of the huge Hanshin, otherwise known as the Kobe, earthquake. At that time, even three days after the quake, the train running along the Hanshin line only went from Umeda to Koshien (a town between Osaka and Kobe) but since my uncle and his family lived further down the line in Ashia (which is closer to Kobe) my parents and I had to walk for two hours from the station to their house, to bring them groceries and drinking water. I’ll never forget the devastation and the heart-wrenching spectacle of people on the roadside carrying heavy bundles, and queuing up for water in places where all public utilities had ceased functioning. In those days I had been working for a life insurance company. We had a huge number of clients or client relatives contacting us to report that the client or a family member had been killed in the disaster. Eighty percent of the earthquake fatalities were found inside their collapsed homes, buried under their furniture. The 2011 Tohoku quake caused way more damage than the Kobe one. And far more people than at Hanshin lost their lives because of the accompanying tsunami, while a huge additional number of people had to be evacuated because of the tragedy at the Fukushima nuclear power plant. Many of them still do not have permanent homes. We never counted on it being this big. This is what I have heard again and again since the quake. 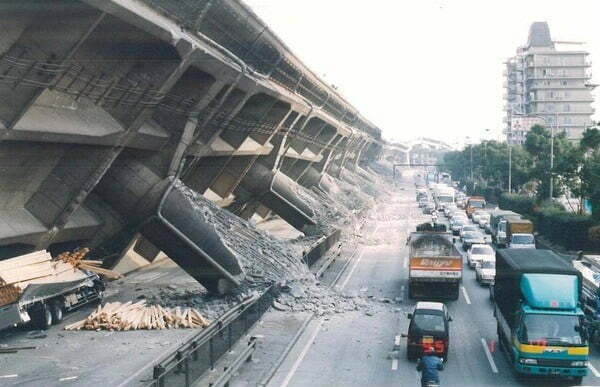 Poorly constructed buildings that collapsed during the Hanshin earthquake caused thousands of deaths. 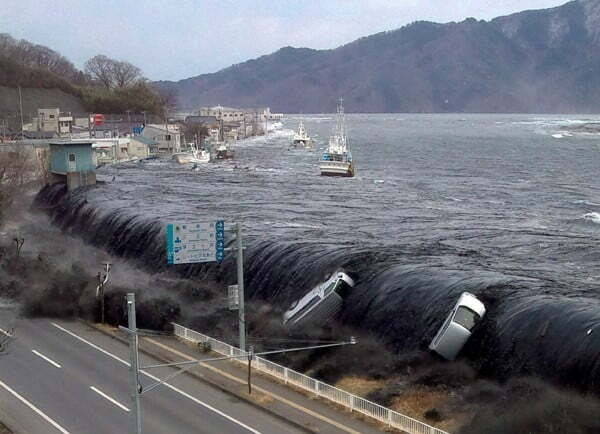 The size of the tsunami at the Kanto earthquake was the main problem. Even today Tepco, owner of the Fukushima nuclear power plant, is severely criticized for not being appropriately prepared for a natural disaster. There was a protective barrier around the power plant but it had been dimensioned for a tsunami of 5.7 meters (about 20 feet), while in the vicinity of the power plant the tsunami was over 15 meter in height. Japan has suffered through a huge number of earthquakes, tsunamis, and volcanic eruptions, making it one of the best prepared countries in managing disaster mitigation. Every tragedy has its own lesson, and efforts are redoubled to respond to the new challenges. Japan, which is well-versed in disaster management, has taken a great many steps to try to keep the forces of nature under control, but we must never forget that nature can never be beaten completely. Do not believe in assumptions and preliminary calculations. Adjust quickly to actual circumstances. If you need to get to a safe place, take the initiative and move yourself. The first rule is to remind people that nature is unpredictable, so a person cannot rely on assumptions and predictions. The second rule tells you never to underestimate nature. People must not be lulled into believing that since everything has been okay so far, it will continue to be so. People need to respond quickly to the unexpected. And finally, people need to realize that their lives are the most important thing and that they should not wait for others to lead if they need to move to a place of safety. They need to take the initiative and others will follow them. I have tried to pass on my own experience to my child. There may never be a disaster like that in Hungary, but if there is a disaster of any kind I would like her to be prepared and to know what to do in an emergency. And if the worst should occur, I would like my daughter to be someone able to help herself and others. These lessons went through my head anew on the 5th anniversary of the Tohoku earthquake. I pray for the souls of the people killed in the disaster, sympathize with the families of the victims, and I wish for a speedy resolution to the situations of the people who are still forced to live in evacuation centers 5 years after the disaster. 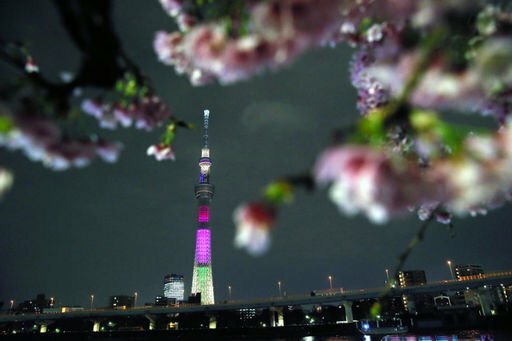 The following picture shows the lit up Tokyo Sky tree on 11 March 2016. 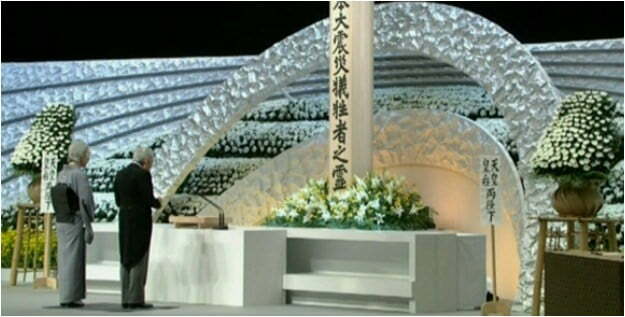 A primary school student designed the lighting, which expresses the hope that the Tohuku region will be rebuilt as soon as possible and that Japan will flower.